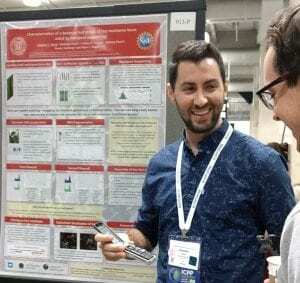 Cornell plant pathologists turned out in force for the International Congress of Plant Pathology (ICPP), held July 29 – August 3 in Boston, Massachusetts. Organized around the theme of “Plant Health in a Global Economy” this represented the 11th international congress and 50th anniversary year for its sponsoring international society. 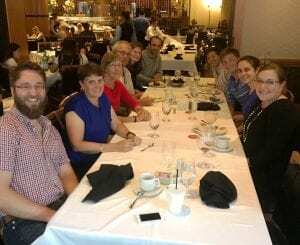 As part of a panel discussion on plant health education, Rachel McCarthy of Cornell’s Plant Disease Diagnostic Clinic presented “National Plant Diagnostic Network online training modules”. The session “Improving Disease Control Through Decision Support with Remote Sensing” was chaired by Sarah Pethybridge and Ian Small, a former student of Bill Fry. Pethybridge presented a paper in this session in addition to co-authoring “Assessment of crop health and losses to plant diseases in world agricultural foci” in a subsequent session. A session on potato late blight featured the paper “Decision support systems for late blight control and early warning” co-authored by Bill Fry. 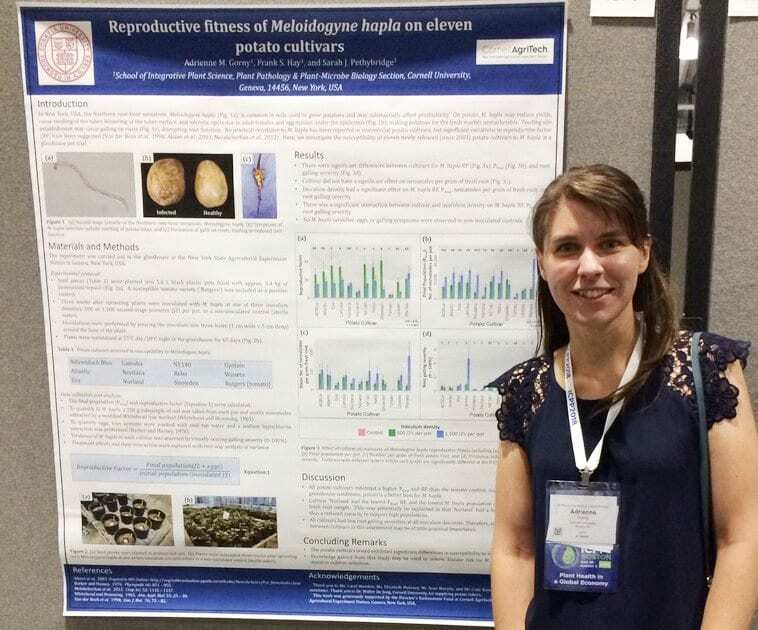 Control of fungal diseases was the focus of a session co-chaired by Katrin Ayer in the Cox program and included Ayer’s presentation on, “Sensitivity of the apple scab pathogen, Venturia inaequalis, to SDHI fungicides”. The potential uses of light to control fungi, oomycetes, and arthropods was addressed in the session “Why Light Matters: New Concepts, Tools, and Practices to Suppress Plant Pathogens and Enhance Plant Health”, chaired by David Gadoury and Lance Cadle-Davidson. Three presentations in this session were authored by Gadoury and Cadle-Davidson lab members including “Calculation of dose and projected efficacy when using visible or UV light to suppress plant pathogens and arthropod pests” presented by Tyler McCann. Maricelis Acevedo co-organized a session on rust pandemics and alternate hosts. 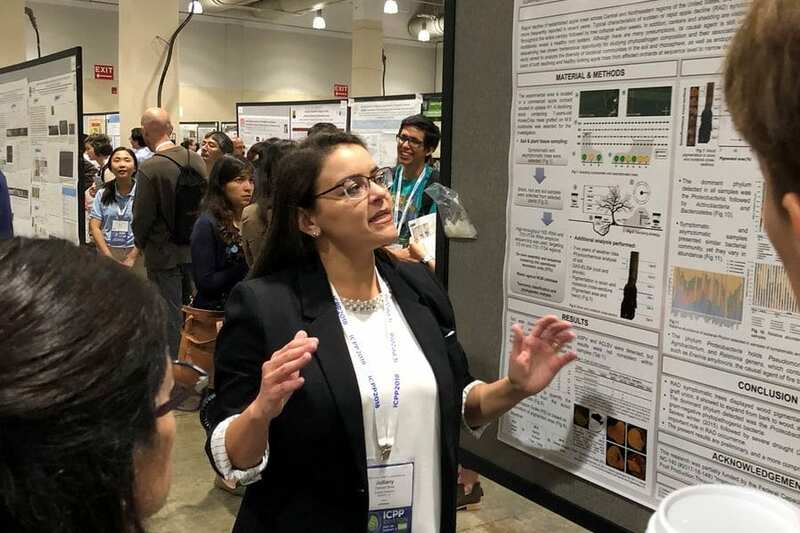 As part of a session on molecular virus-plant interactions, Shaonpius Mondal, in the Gray program, presented on “Within-plant distribution of PVY strain mixture differs spatio-temporally in potato cultivars”. 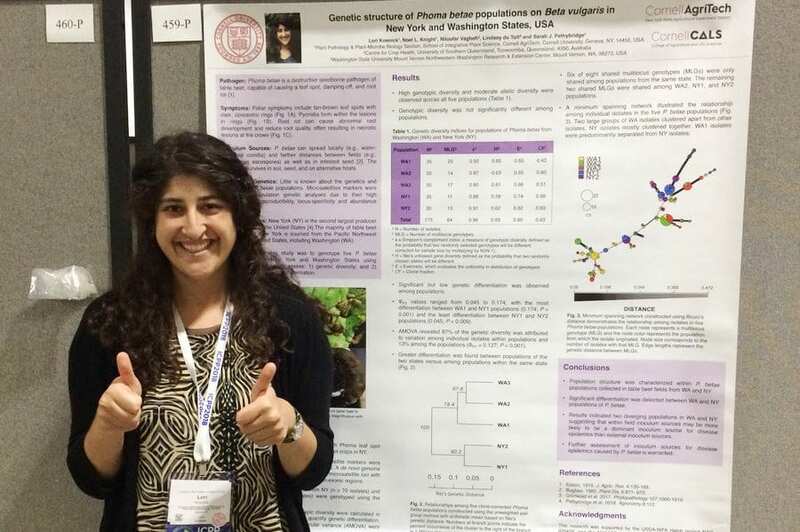 Libby Cieniewicz in the Fuchs program spoke on “Insights into the epidemiology and transmission of grapevine red blotch virus” and a session on vector biology and virus epidemiology featured a talk by Jenny Wilson in the Heck program on “Molecular evidence of insect vector manipulation by a plant virus“. Both of these papers had numerous contributors from Cornell. 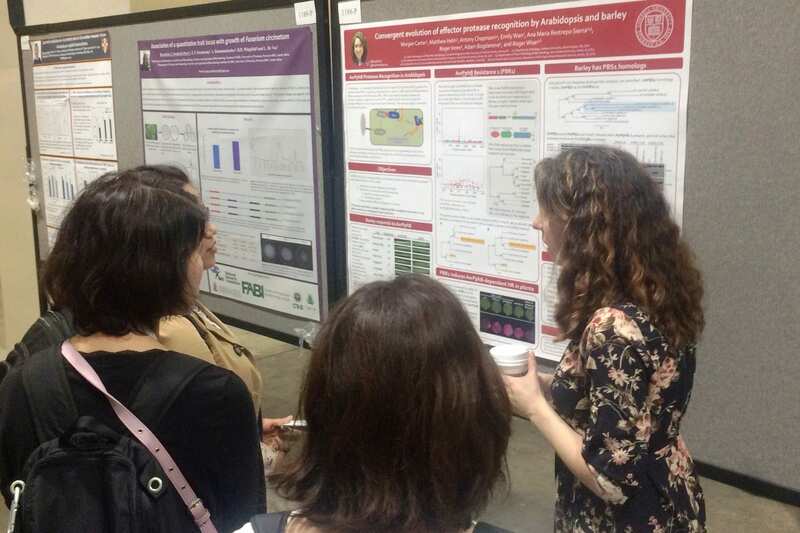 Michelle Heck also presented on a Systems biology perspective of Interactions between Diaphorina citri and ‘Candidatus Liberibacter asiaticus’, another focus of research in her program. Xiaohong Wang‘s lab contributed to a session of resistance to nematodes with talks on “Understanding the function of a novel Gr29D09 effector family from the potato cyst nematode Globodera rostochiensis in host defense suppression” by Athena Yeh and “Functional characterization of a large group of CLE effectors encoded by Globodera cyst nematodes” by Shiyan Chen. 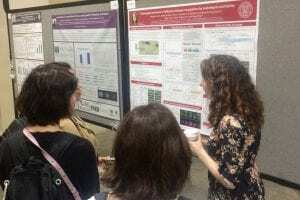 A total of 36 posters on various topics were presented by Cornell students and other researchers, many of whom actively tweeted updates and photos throughout the meeting. 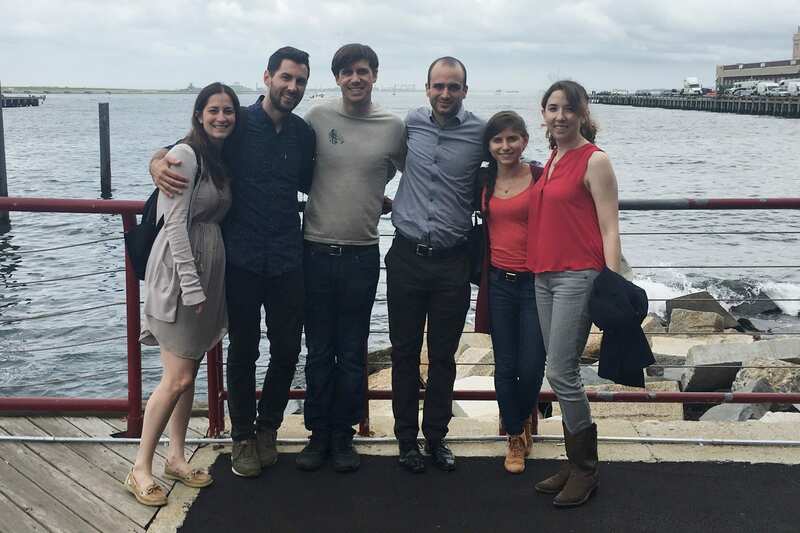 Search for #ICPP2018 on Twitter for details. In addition to the many speakers and presenters from Cornell, Rebecca Nelson and Sarah Pethybridge serve on the International Advisory Committee and Scientific Program Committee, respectively. Read the complete program.